The Judith Beck estate is based in the commune of Gols, in the Neusiedlersee region, on the eastern side of the Lake Neusiedl. Gols is part of the larger Burgenland region in easternmost Austria, with a very warm climate defined by the Pannonian plain and the Lake, whose temperature can 85 degrees in the summer and is only 1.5 meters deep. Indeed, this is the country’s warmest wine growing area and the first to harvest. It is the center of the production of Austria’s finest dry and full-bodied red wines. The family estate was founded in 1976 by Matthias and Christine Beck. Their daughter, Judith, assumed full control of the winery in 2004, having made her first vintage in 2001. After graduating from the Klosterneuburg Viniculture College Judith Beck gained international experience at world-renowned wineries, including Château Cos d’Estournel in Bordeaux, Braida in Piedmont and Errazuriz in Chile. Managing the family winery comes naturally to Judith who has an innate “sixth-sense” for the regional varieties zweigelt, blaufränkisch and st. laurent. Judith Beck owns a total of 15 hectares of vines in Gols, with holdings in the vineyard sites Altenberg, Gabarinza, Salzberg and Schafleiten. 85% of the area is planted to red varieties – Blauer Zweigelt, Blaufränkisch, St. Laurent, Pinot Noir and Merlot, with the remaining 15% planted to white varieties – Welschriesling, Pinot Blanc and Chardonnay. In addition, grapes are brought in from another 5 hectares in the communes of Apetlon, Halbturn and Winden, and used in the production of the basic red wines. Vines are planted at high densities of up to 7,000 vines per hectare to limit yields and ensure ripe fruit at harvest time. Soils range from loam and clay on the lower vineyards to limestone, higher up on the ridges. 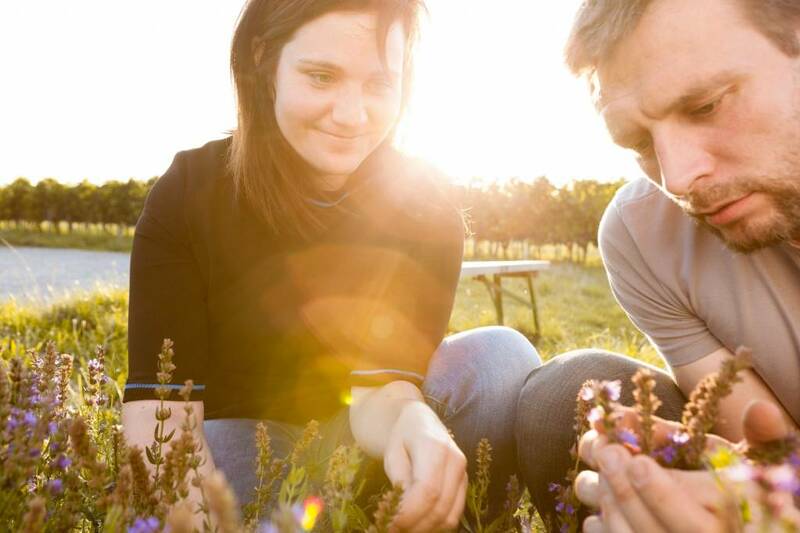 Judith and her father Matthias practiced sustainable viticulture from the outset, and converted to biodynamic practice with the 2007 vintage. She uses only native yeasts in the fermentation process. The Red wines are fermented in temperature-controlled stainless steel tanks, in new barriques or in open vats. The wines undergo malolactic fermentation in new barriques or in large oak barrels. Some of the red wines are also matured in large oak vats, some of which are quite old, and are already being used by the third generation of owners.